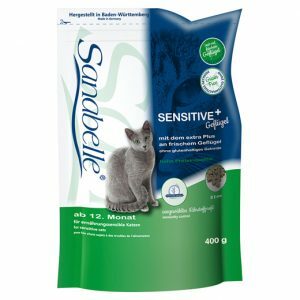 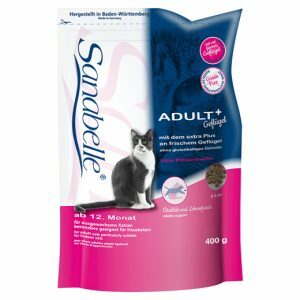 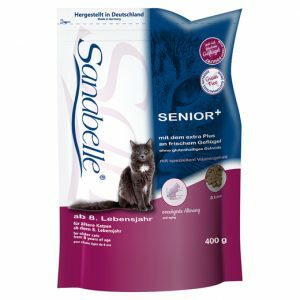 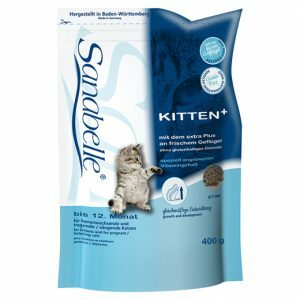 Sanabelle Light is an energy reduced complete food for cats that can tend to be overweight due to their low activity level or due to a desexing. 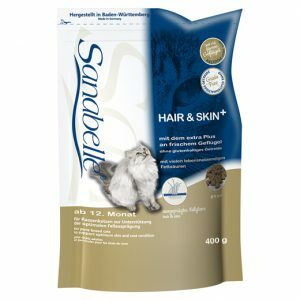 The higher content of fibres (crude fibre) provides a feeling of fullness resulting in a gradual and lasting reduction of weight which can benefit muscles, joints, bones and circulation. 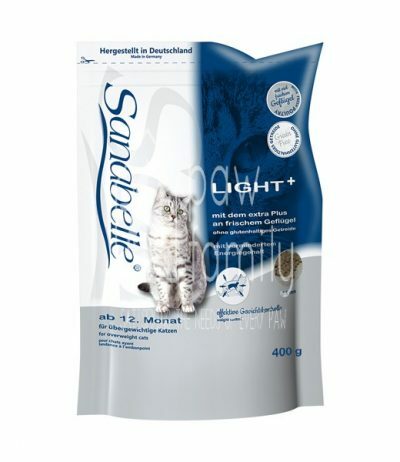 Sanabelle Light is very palatable and digestible. 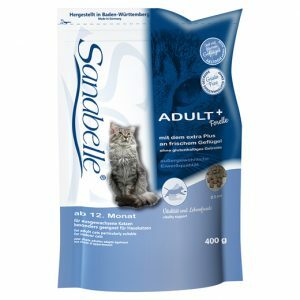 Fresh poultry meat meal, maize, barley, rice, liver (dehydrated), fish meal, hydrolysed meat, cellulose fibres, fresh meat meal, powdered egg (dehydrated), animal fat, linseed, beet pulp, yeast (dehydrated), fish oil, potassium chloride, sodium chloride, cranberry (dehydrated), bilberry (dehydrated), (NZ) green lipped mussel extract max. 0.25 % (nutritionally supports formation and function of cartilage), chicoree powder, blooms of marigold (dehydrated), yucca extracts (dehydrated).